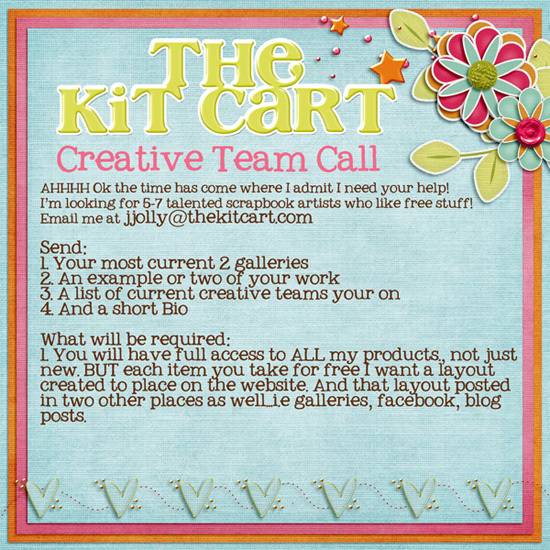 The Kit Cart: CT Call, New Kit and Freebie!! CT Call, New Kit and Freebie!! Ok I know...where have you been?? LOL the last few weeks have been a bit crazy. The week before last the whole family got a bug and it passed from one right to the next. And then my daughter who has Asthma is still battling the cough from it. But that's not all...my sweet baby boy turned 4 yesterday. And while we didn't have a big party yet...we still made the day a bit fun for him. He got to choose his dinner, which was a happy meal, LOL and we went and picked a cake at the bakery. Then we let him pick one big toy at the store which of course was a race car track. He is a race car fanatic. So needless to say I'm behind! And you will also see my cry for help...I did a CT Call. Yes I need a Creative Team. And if you've never done one before but think you layouts are to die for, apply anyway! It has free stuff involved! Yay, free stuff!! And last but not least a new kit...this one was picked by a Facebook Follower who will get the kit for free. 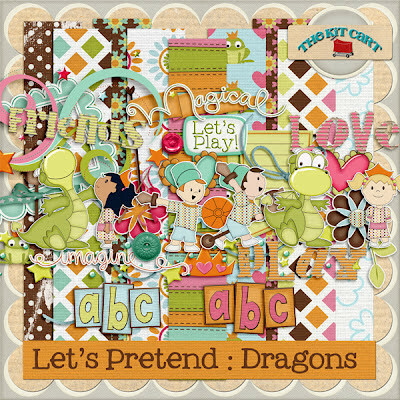 She needed something with dragons which I (having a boy) thought it would be fun to do. 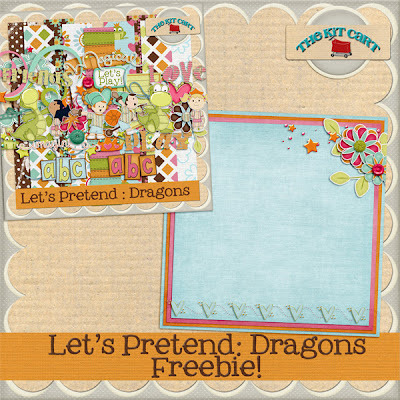 And not to forget about your freebie.... CLICK Sorry, the Link for Freebie has expired! Thank you so much for this post. 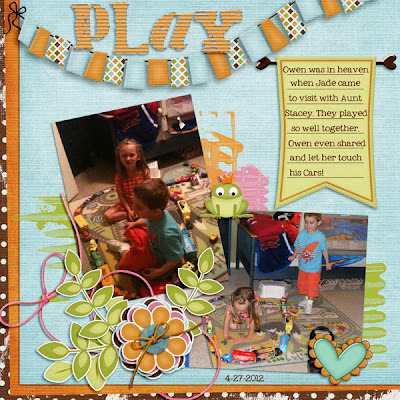 I want to let you know that I posted a link to your blog in CBB Digital Scrapbooking Freebies, under the Page 7 post on Sep. 27, 2012. Thanks again. This kit is so adorable! love it! thanks so much for the awesome freebie! wish I was a better scrapper, than I would apply, but i'm still a newbie and not so great!